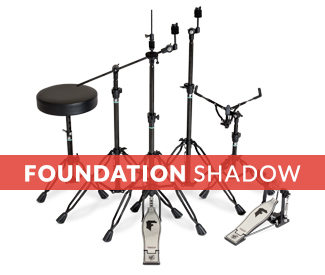 Foundation Hardware was developed to meet the needs of drummers seeking professional quality, heavier-duty stands and pedals that infuse versatility and durability. We worked closely with artists and hardware experts to design a line that not only serves as the foundation of your setup but completely satisfies the desire to have hardware that performs in any setting. Build the groundwork for your kit with Foundation Hardware. 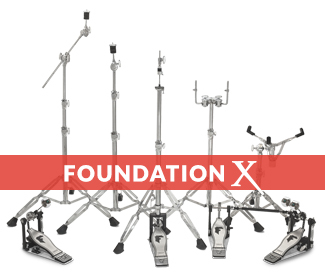 Foundation X is designed to withstand the core needs of any drummer. 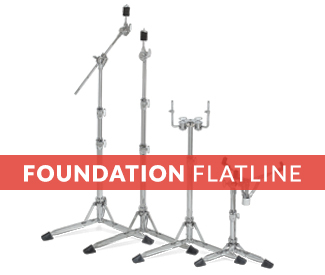 Foundation Flatline is the only heavy-duty flat base design on the market. Foundation Shadow is designed to get you set up and playing quickly. 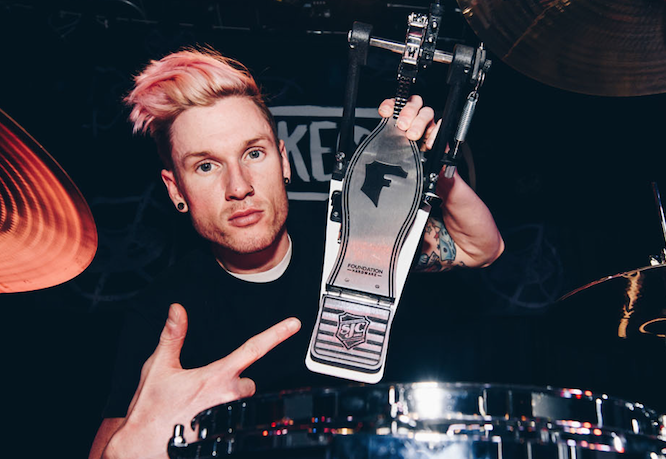 "Finding the right pedal is something I’m very particular about. It has to be smooth and responsive yet durable enough to withstand me trying to put my foot through the floor. The Foundation X Pedal provides all of these qualities and more to match it with the best of them." Have a question about The Foundation Hardware Series that's not answered here? Contact us now!